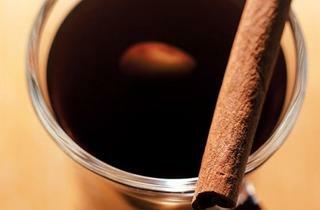 Things to do inside on a cold day: Drink this glogg and you'll want to turn down the heater. We knew this deep freeze was something serious when BBC News interrupted its usual genocide coverage to report about the record-setting cold snap in the Midwest. With the "polar vortex" plunging temps into the negative teens (and as low as -45 with the wind chill), Chicago has been feeling more like the Star Wars ice planet, Hoth. And because you really don't want to end up seeking emergency shelter in the sliced-open belly of a tauntaun, you shouldn't venture out. Today is the best excuse to cancel all your appointments, crank up the thermostat, throw on the Slanket and take it easy. Herein, our guide to your one-day staycation. Thanks, Old Man Winter! Catch up on your reading. Check out our selections for the best fiction and nonfiction of 2013 and download some to your e-reader, from George Saunders's spellbinding stories (Tenth of December) to Rachel Kushner's highly praised second novel, about the 1970s New York art world (The Flamethrowers). Bone up on your, um, boning. And for soundtrack options—to get you in the mood and so the neighbors don't hear—see our list of the 50 sexiest songs of all time. Order in. While lots of restaurants and bars closed today, some aren't just open, they're offering delivery. J.P. Graziano is delivering through GrubHub. The soup of the day is chicken lentil, so get a bowl with your Italian sandwich. M Burger is offering delivery from its Ontario St. location. Manny’s Deli is also delivering, so call 312-939-2855 for a pastrami sandwich. Tre Soldi is offering lunch delivery today in Streeterville and then closing for dinner. Piece will be delivering pizzas today, and you can order by calling 773-772-4422. Cemitas Puebla is delivering lunch today, and you can call 773-773-8435 or visit cemitaspuebla.com to order. Doc B's Fresh Kitchen is delivering today through GrubHub and DiningIn. Watch Drinking Buddies. The movie, which is about a pair of friends who work at Revolution Brewing, is available on Netflix. Watch (obviously) while drinking beer. Whip up a Midwestern gin drink. If beer isn't your drink of choice today, our Midwestern gin tasting can help. We picked the best gins to use in martinis, gin and tonics, and more. Make a hot cocktail. Since we don't recommend venturing outside for a hot drink, make one at home. 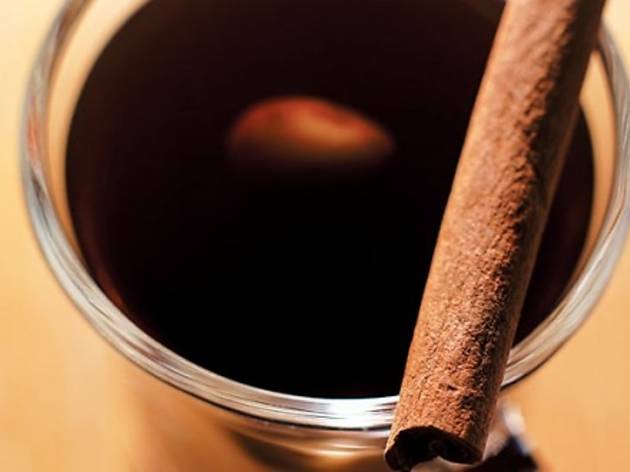 Chicago bartenders like Paul McGee and Tim Lacey shared recipes for glögg, hot buttered rum and other drinks. Plow through your Netflix queue. The only red box that you'll be seeing today is the one on the screen in front of you. Thankfully, a bevy of recent releases are ready to stream. The following titles received four- or five-star reviews from Time Out's film critics: Room 237, Frances Ha, Shepard & Dark, Europa Report, Our Nixon, Kon Tiki, Berberian Sound Studio, Deceptive Practice: The Mysteries and Mentors of Ricky Jay, Cutie and the Boxer. Binge-watch TV. Also available on Netflix "Watch Instantly" are many of the shows that made our best television of 2013 list, including Breaking Bad, New Girl, Orange Is the New Black, Portlandia, Shameless and more.